A slice of paradise in the Northeast of Portland, Thicket is a beautifully curated garden and nursery. This "secret garden" of sorts is home to everything from edible plant starts to fig trees to cacti perfect for smiling from a windowsill. Recently, Founder Adria and I took shelter from the heat wave in a shady corner of Thicket's lush lot to talk about the seeds for Thicket and sustainability. Adria grew up around gardens: she was raised on a commune and her mother always tended to a productive patch of green. During college, Adria worked at a flower shop before delving into a fourteen-year long career in the floral business. When she learned several years ago that a treasured neighborhood gardening supply shop was shutting its doors, she called up the owner to ask if it was alright if she brought her own vision for a garden store into being. The owner was more than enthusiastic. And so, after many conversations with the community, Adria opened Thicket in 2012. Her hope is that Thicket will inspire people to connect to the natural world. She's passionate about cultivating a space that is both receptive to the needs of experienced gardeners and connects green thumbs-in-training with the resources to create their own productive landscapes. With its curving rows of plants and artful layout, exploring Thicket is ripe with surprise for everyone. You could very well spend a delicious afternoon roaming the space and leave feeling as if there is still more to see (and likely with a sedum or two in tow). Sustainability is interwoven into Thicket's design. 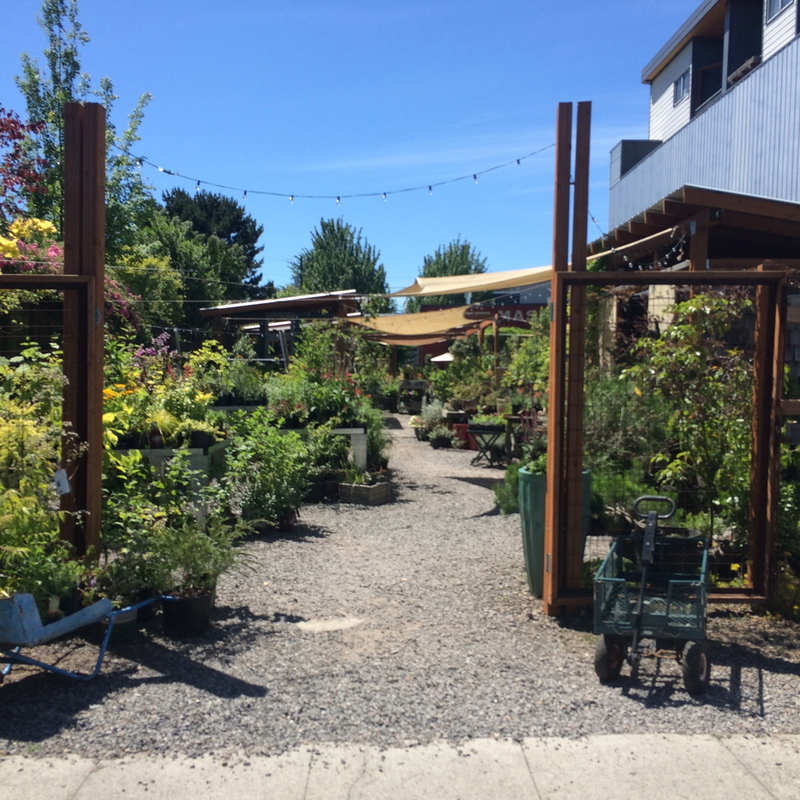 Especially during this dry Portland summer, Adria has made a concerted effort to gravitate away from thirsty plants and dial down Thicket's inventory in order to reduce water usage. And she's encouraging clients to do the same. There's a reason succulents are popping up in posh shops and on Instagram feeds all over: these sweet little plants don't need much to thrive. As Thicket grows, Adria hopes to use the space in creative new ways. She'd like to host workshops and yoga classes on the site and will be organizing a neighborhood potluck in a couple of weeks to nurture community ties. 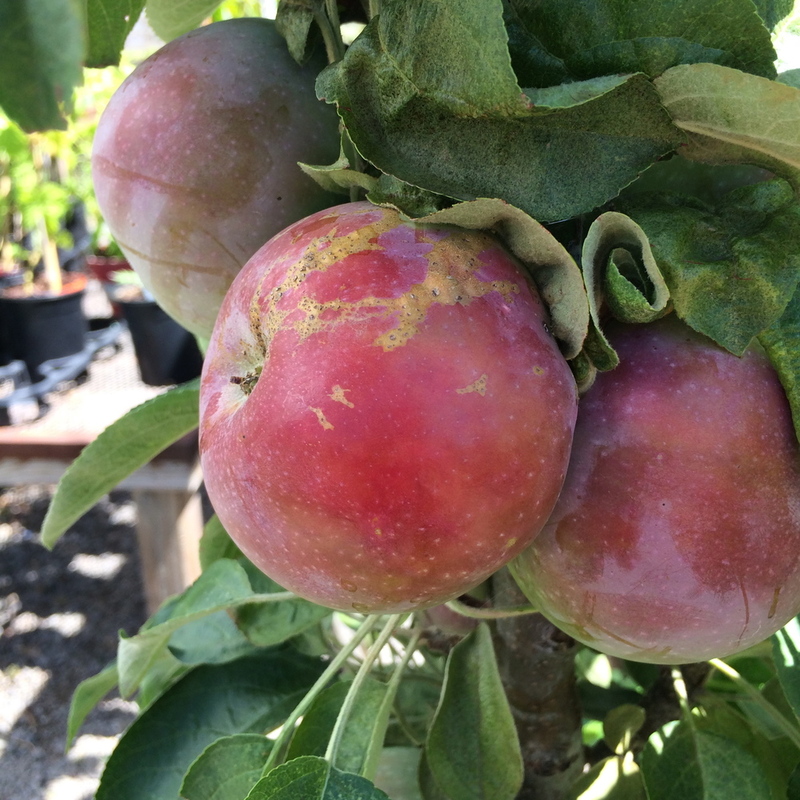 As I take in Thicket's vibrant mix of bright green plants and marbled blue pots, of apple trees and thriving edibles, I can't help but wish that I were staying in Portland just a little longer to get to experience an event at this garden boutique. In the heart of the city, Thicket is a return to the powerful joy and peace of mind each of us can draw from green surroundings. For now, however, Adria is focusing on the many projects that pepper a typical day at Thicket. From working on propagation to pest management, "it takes all day," Adria laughs, "to keep those plants happy." Luckily, it doesn't take much to make passerby smile. Meandering through Thicket later that day, I marvel at just how many people are clearly delighted by the simple beauty of a potted succulent. Gardeners and flower lovers and food growers alike can find common ground at this "secret garden" that surely won't stay a secret for much longer.